The late Steve Irwin would be proud to know that a small island in the Philippines is home to a crocodile haven where such reptiles are treated with the respect that they deserve. The Davao Crocodile Park is still growing strong after ten years of existence. 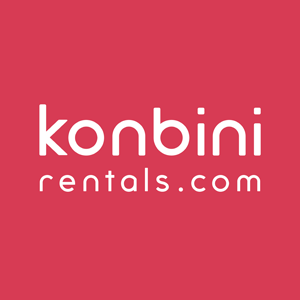 It became even better with their transfer to a new address in Riverfront Corporate City since 2006. The crocodile shelter has a well-planned lot layout and is evidently clean as well. Obviously, the park’s lead stars are the crocodiles, with different park facilities made solely for the propagation of such reptiles. There are restricted Incubation Rooms for the newly-born crocodiles, a nursery room filled with lizard-like creatures and two yearling pens that contain 50-60 young crocodiles aged one to three years old. But before you think these young ones are all innocent, they are apparently the most agile amongst all ages. They are highly impatient especially when they’re hungry, which is evident in the pieces of tail or head (not human, not to worry) found inside the pen once in awhile. Not to mention the apparent bite marks all over the bodies of the young crocodile caretakers (human, but rest assured that they know what they’re doing). There’s also a Crocodile Farm in Palawan namely Palawan Wildlife Rescue and Conservation Center. There are three other breeding ponds on the left side that are swarmed with seemingly relaxed creatures. They are stretched out, soaked in the sun and completely undisturbed by the excited noises of spectators around them. But the most breathtaking of all the crocs found in the haven is Pangil, which is directly translated to the word “Fang”. The second-largest crocodile in the Philippines, Pangil is 18 feet long and is over 60 years old, having the entire pond all to himself as he commands attention by simply sitting quietly in his pen. If you think you have had enough of crocs for the day, you can check out other animals in small cages or glass-encased areas around the park. There are parrots, eagles and mynahs and even snakes tucked inside their cages. A lonely ostrich along with a lonesome bearcat make a great pair behind the swinging orangutan. Other animals such as a porcupine, macaques, leopard cat, civet, and deer have their own cages too. 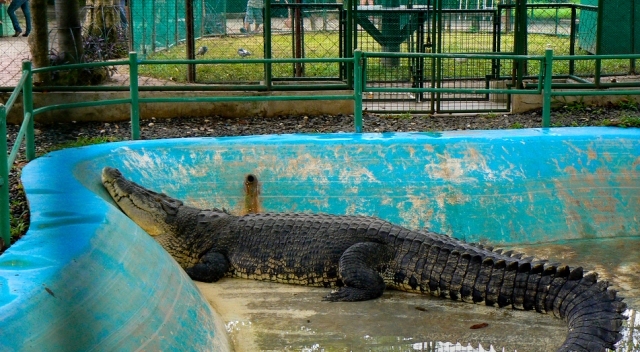 The Crocodile Park is a 15-minute ride from the downtown area of Davao City. An entrance fee of 75 pesos is required if you are an adult, and a 50 peso fee if you are a child. School season brings a lot of field trips to the park while the months of March to August draw more tourists. A good time to visit the park will be during the late afternoon of Friday and Saturday where the park holds Animal Shows displaying the animals’ vicious skills and amazing tricks. Some of these include Crocodile Dancing, Crocodile Frenzy, Crocodile Encounter or Tightrope Walking. You may even get the chance to get up close and pet some animals. If you want to feel a combination of excitement and danger, go straight to the Davao Crocodile Park and be astounded by size and ferocity beyond belief. By visiting the park, you will instantly learn how to love such creatures instead of being afraid of them.